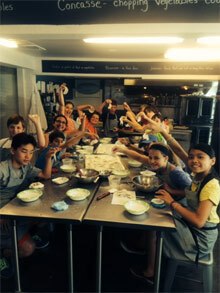 This summer we are offering 2 consecutive weeks of the “young chef’s academy”. 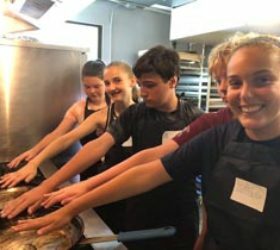 Each week is a unique four-day, hands-on kids cooking camp. 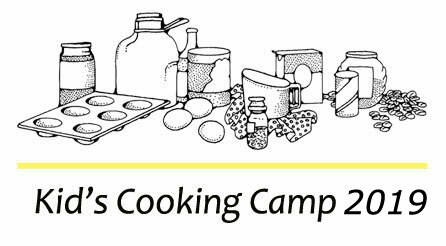 There will be no duplicate recipes weeks 1 and 2, so register for both weeks. 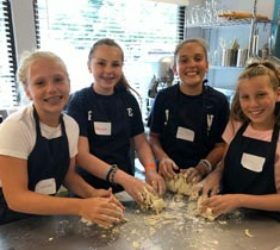 We will be exploring American regional cuisines, global cuisines, farm to table, current food trends, street foods and many other culinary delights each week of camp. We plan our menus according to what’s in season and available. We also like to collaborate with our campers on what they want to learn each day. In other words…Let the food teach itself. 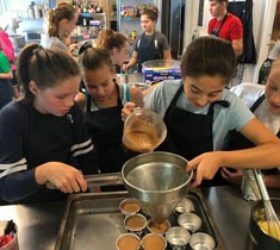 Requirements: Junior Chefs (Ages 11-15 only). NOTE: The kitchens are NOT food allergy free kitchens. Nuts, shellfish etc are used frequently. 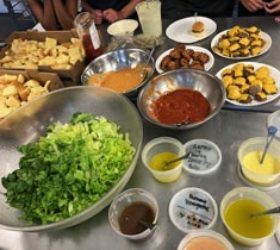 Some of the dishes may contain dairy, seafood and/or nuts. 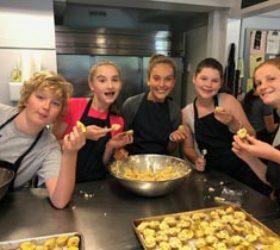 Kid’ Cooking Camp 2019 is NOW SOLD OUT. Thank you for your support! Step 2) All registrants must complete the Camp Registration Form. Click here to download the form. Print, complete, sign, and return the form to AMG Catering. 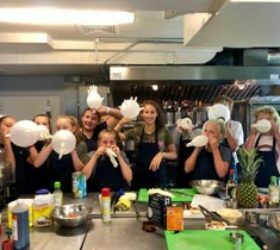 Your cooking camp has been hands-down his favorite camp ever he says! And he has done some really great sports camps (Duke Basketball), but he says he loves this one more than any. He is already thinking about which friends he wants to add to the list for next year. Would love to do a winter class here and there. I know I can get some of this buddies to come - maybe a Super Bowl fiesta? Basketball NBA draft party? Would be fun! I imagine the energy with all these boys is different, but know you know how to handle them. 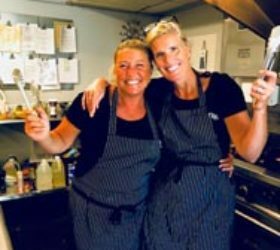 Chef Liv seems amazing as well!!! Thanks for ALL! 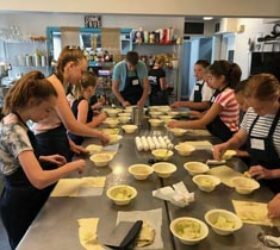 Learning cooking skills at an early age will benefit your kids for a lifetime.